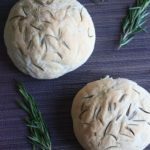 Fresh rosemary bread. Not only delicious but will make your kitchen smell wonderful! One of my favorite parts of eating out is if there is free bread served at the table. I don’t know if it’s because I’m usually starving and the bread shows up before you even have to order anything, or because it’s free, or just because it’s bread, but I usually get pretty excited about it. 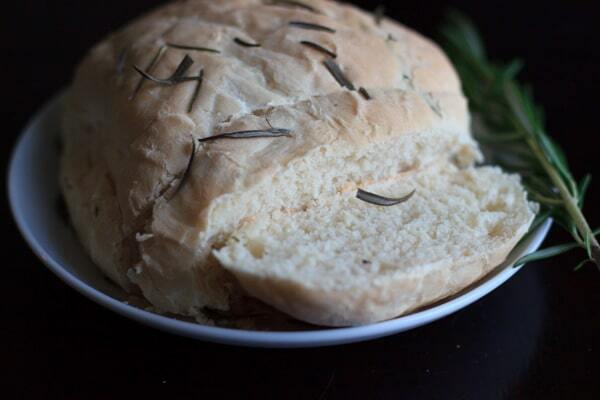 Growing up, one of my favorite restaurant bread was Macaroni Grill’s rosemary bread. I think it was extra special because you got a whole loaf instead of just a few measly slices. Also dangerous, because I have no self-control over bread! The fact that I learned how to bake my own homemade bread is a blessing and a curse at the same time. 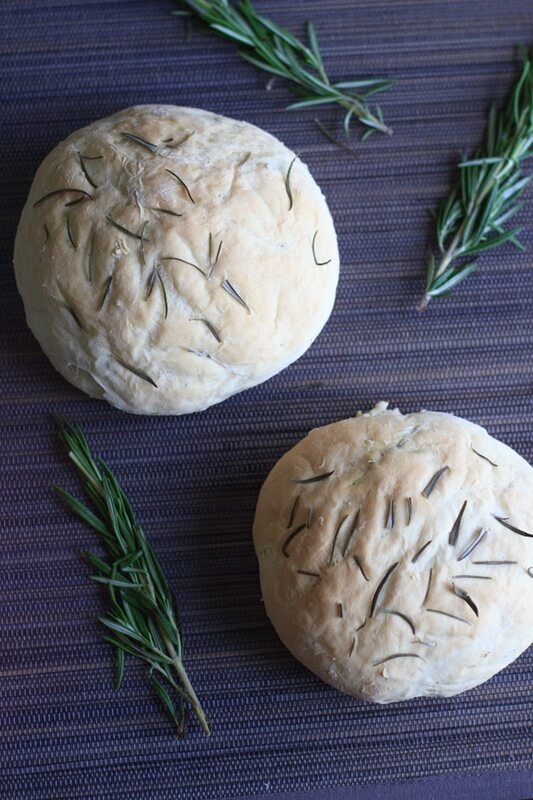 Anyway, the point is that rosemary + bread = amazing. I could make this all the time. There’s actually no reason for me to go back to Macaroni Grill now, because I can make their bread myself. I seriously love this bread and also the way it makes my kitchen smell when I bake it. Not only is it the homemade bread smell, but it’s extra special because of the rosemary scent. 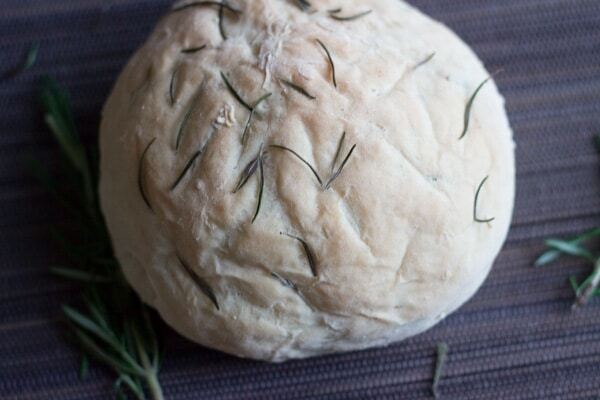 Before baking, be sure to press the rosemary into the dough on top so that it doesn’t fall off like some of mine did. And there’s even a second loaf to share, if you so choose. In a small bowl, prep yeast by dissolving in warm water (110 degrees Fahrenheit) and stir in sugar. Let rest for a few minutes until it bubbles. Mix in butter, salt, flour and 1 tablespoon of the fresh rosemary. Knead for 5-10 minutes until smooth and elastic. Place dough in an oiled bowl and let rise in warm place for 1 hour, or until doubled. Divide dough into two loaves. 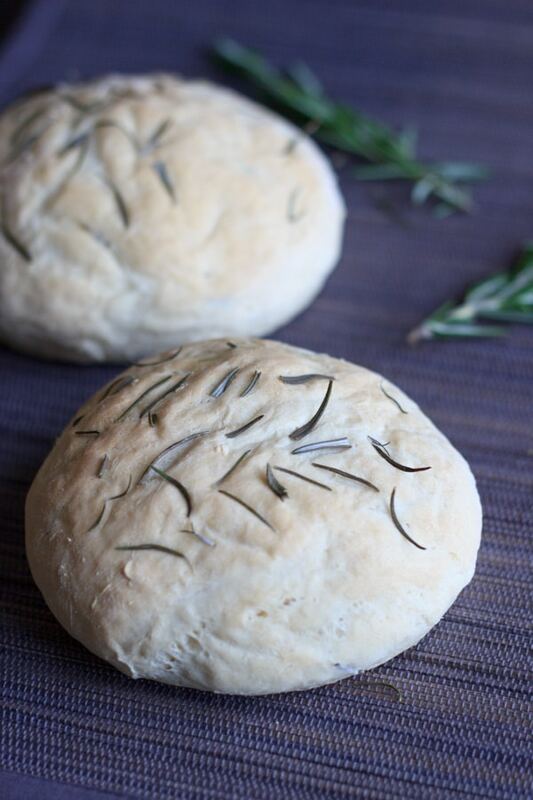 Sprinkle remaining 1 tablespoon rosemary on top of the loaves and press in lightly so it sticks to dough. Let dough rise an additional 30 minutes. Bake at 375 degrees Fahrenheit for 15 to 20 minutes, or until lightly browned. Makes two loaves. Serve warm.